If you’re like most Americans, your monthly grocery spending is eating up a big portion of your budget. Figures from the U.S. Department of Agriculture show that, on average, a family of four spends up to $1,300 a month on the food it consumes at home. Making matters worse, families may be spending more than they need to because of mistakes they make when shopping at the supermarket, says Jessie Alonzo, founder of MoolaSavingMom.com and a deal expert for Savings.com. Alonzo and Teri Gault, CEO of coupons Web site TheGroceryGame.com, say that there are several reasons people overspend on groceries. Here are 10 costly mistakes they say that shoppers make. If you’re guilty of these supermarket blunders, you can save big by mending your ways. Buying week to week. When shoppers buy only their weekly needs, they are forced to pay full price for 50% to 80% of what goes in their carts, Gault says. The better way to shop is to stock up on items you know you will always use when they go on sale, assuming you have room in your freezer or pantry. And plan your weekly purchases of perishable items around what’s on sale. Alonzo recommends checking stores’ weekly sales flyers (which most supermarkets post online) or using an app such as Favado to see what’s on sale at your local stores before you shop. Sticking to a recipe. On average, only two out of 10 items in a recipe will be on sale in a given week, Gault says. Instead, choose recipes and plan meals according to what you already have and what’s on sale. Falling for store marketing tactics. Be aware that just because an item is on sale doesn’t mean it’s the best deal, Alonzo says. For example, she often sees people stocking up on half-gallons of milk when they go on sale at her local supermarket for $1.77. But the regular price of a gallon of milk is $2.99 – 55 cents less than two half-gallons at the sale price. More tactics to watch out for: If a store has a “buy 10 for $10″ promotion, you can just buy one for a buck. You don’t need to buy 10 to get the sale price, Alonzo says. Be aware that convenience items, such as cocktail sauce sold in the seafood department, are usually the more-expensive brands. Cheaper bottles can be found in the sauce and condiments aisle. And items that are discounted and featured at the end of an aisle often are paired with other items that aren’t on sale. For example, you might see deeply discounted cake mix displayed at the end cap of the baking aisle paired with frosting, but a cheaper brand of frosting likely is available in the middle of the aisle, Gault says. For more, see 5 Ways Supermarkets Trick Shoppers. Failing to check cost per unit. Most supermarkets provide cost per unit on tags displayed on shelves by a product. This is an easy way to get a true price comparison across brands and package sizes. For example, a container of name-brand orange juice might be on sale and appear to have a lower price than the store brand. But if the brand-name container is 59 ounces while the store brand is 64 ounces, the cost per unit can help you figure out which really is the better deal. Price per unit isn’t always listed in the produce section, so you might have to do the math quickly in your head or use a calculator. For example, Alonzo says she typically buys a five-pound bag of apples for $5.99. But when individual apples were on sale for 99 cents per pound, she recognized that she could save $1 by buying five pounds of the individual apples instead of the bagged apples. Purchasing prepared produce. Sure, packages of peeled and cut produce can be convenient. But they can cost up to three to four times as much as produce that hasn’t been packaged in a bag or container, Gault says. Plus, these items have a shorter shelf life. For example, peeled baby carrots in a bag cost twice as much as whole carrots yet don’t remain fresh nearly as long, she says. Mixing up your meats. Gault says she often sees shoppers who think they’re getting the meat that’s on sale but inadvertently put the wrong packages in their carts. This can happen for several reasons: the sale meat might be next to a similarly labeled meat that’s not on sale; the sale might apply only to certain package sizes; or other shoppers might have picked up meats and put them back in the wrong spot. To make sure she’s getting the sale item, Gault says she will ask an employee in the meat department where to find the deal and will double check the cost per pound to be sure she’s receiving the advertised price. Not using the store loyalty card. Most supermarkets have loyalty programs that are free to participate in and offer savings to members. Simply scanning your card at checkout can save you money if you’ve purchased items that are advertised as “on sale” for loyalty members. If you forget your card at home, most stores will let you enter your telephone number at the checkout to claim your savings, Alonzo says. Missing out on personalized deals. Supermarket apps often have personalized deals that can be claimed by linking your loyalty card to the app and clicking on the deals to add them to your card, Gault says. It’s that simple, but many people aren’t aware of this savings opportunity. For example, Gault says she saw a man buying asparagus for $4.99 per pound, but her personalized price was $1.99 per pound. She told him about the app and her price. “He found it, added it, and saw me later in another aisle and thanked me,” she says. Overlooking coupons. You don’t have to give up an entire weekend to clip coupons to use them. 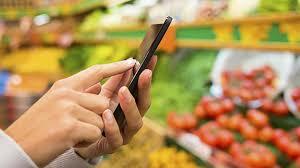 Many supermarkets’ Web sites and apps let you load coupons directly to your loyalty card. The Favado app also lets you load coupons to your card. (However, Gault cautions that digital coupons don’t always offer as big of a discount as paper ones.) And some products come with coupons attached to the packaging that can be used for discounts when you purchase them. Also check the Web sites and Facebook pages of your favorite brands for coupons and promotions, Alonzo says. The biggest way to save with coupons, especially if you don’t buy many packaged foods, is to use them for household and personal hygiene products, Alonzo says. Cutting the cost of these pricey items can make more room in your grocery budget for fresh produce and other perishable items. Failing to check your receipt. Gault recommends checking your receipt before you leave the store to make sure you got the sale prices, coupon savings and instant rebates that you deserved. I did this during a recent shopping trip and discovered that the discounted price had only been applied to two of the six packages of frozen waffles I bought to take advantage of a sale. I went to the customer service desk, pointed out the problem and got an instant refund of $6.78.